Nightlight’s Tulsa, Oklahoma Office provides Domestic, International and Embryo Adoption services, including adoption home study services for all Oklahoma residents. Serving Oklahoma City, Tulsa, Norman, Broken Arrow, Lawton, Edmond, Midwest city, and all of Oklahoma. We were previously known as Heritage Family Services, www.adoptok.org. and are now pleased to be a part of the Nightlight Christian Adoptions family. Heritage Family Services was created with the recognition that families are the most important heritage that each of us have. Our families help shape our personality and character and are designed by God to give us a foundation for life. While most families are healthy and give a positive heritage to their children, there are some families where children do not receive the positive beginning for life which they need. For some children, adoption can be a positive way to provide them with the nurturing and stable family they need. 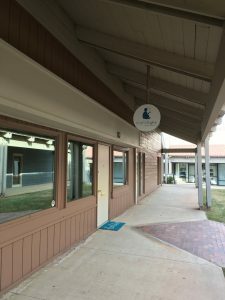 Heritage was founded not only as an adoption agency but as an agency that can perform a variety of services to help families.Debbie and Mike Nomura founded Heritage in October of 1996. As young people they had each had the clear sense that God had called them to a life of helping others. Educated as social workers, both Mike and Debbie have each spent their lives working in nonprofit social service agencies providing services to families and children. They each had gained decades of experience in various types of children’s services, including children’s home work, foster care, group home care, maternity home care, pregnancy counseling, child abuse prevention, as well as both domestic and international adoption. Both Mike and Debbie have a long history of leadership in state, regional, and national children’s organizations. They brought this wealth of commitment and experience to Heritage. Mike Nomura was appointed in the mid-1990’s by the Speaker of the Oklahoma House of Representatives to serve on the Adoption Law Reform Committee, which spent three years helping to re-write Oklahoma’s adoption laws. A new law was adopted in 1997. In 1998, the Oklahoma Department of Human Services contracted with the then new Heritage Family Services to administer the Interstate Compact for the Placement of Children (ICPC) for all adoptions coming into or going out of Oklahoma. The role of the ICPC process is to provide protections for children being adopted and to ensure they are being placed into appropriate homes. In the process of administering the ICPC during the past fifteen years, Heritage has reviewed nearly 6,000 interstate adoptions. OKDHS has renewed the ICPC contract with Heritage and continues to entrust this program to Heritage and its dedicated staff. Through the ICPC program, Heritage works with adoption agencies and professionals all over the United States. Since 1998, Heritage has been the primary provider of education and training for persons in Oklahoma who perform adoption home studies. Heritage provides both a Basic Home Study course as well as Advanced level training. Social workers and Licensed Professional Counselors from all over the state attend these workshops and learn about the requirements of assessing prospective adoptive families. These workshops are offered in both Oklahoma City and Tulsa on an annual basis. Heritage has provided training through these home study workshops to hundreds of adoption professionals. In 2002, Heritage was awarded a grant by the Zarrow Foundation to conduct a joint conference in Russia and in Tulsa for professionals providing services to high risk children. In 2002, Debbie and Mike attended and helped to sponsor a Conference in Svetlogorsk and Kaliningrad, Russia. There were several hundred workers from children’s orphanages and child guidance centers who attended the conference. Speakers came from Germany, Poland, Lituania, and Moscow, as well as having Mike and Debbie as speakers from the United States. Debbie made two presentations about preventing child abuse and programs for parents who abuse their children. Mike made two presentations to orphanage directors about residential programs in the United States and methods for serving at-risk children. In 2004, Heritage sponsored two of the Russian children’s professionals to come to Tulsa and make presentations at Oral Roberts University to social work students. Both Mike and Debbie have been active in the Oklahoma Adoption Coalition. From 2003 to 2007, Mike served as President of this state-wide organization of agencies and practitioners who strive to improve adoption services in Oklahoma. In 2013, Debbie currently is serving her second term as Secretary of the OAC. In 2005, Heritage was selected by Spaulding for Children to serve as the lead agency in Oklahoma to help Spaulding carry out a national grant to train healthcare workers about adoption. Heritage worked with other adoption agencies in the state to conduct training events at hospitals, clinics, and nursing schools all across Oklahoma. This grant continued until 2012 and resulted in over 1,800 nurses and healthcare workers being trained to answer adoption questions for their pregnant patients. In 2006, Mike received the Angel In Adoption Award from the Congressional Coalition for Adoption. Mike was nominated by Senator James Inhofe due to Mike’s history of work to improve adoption services in Oklahoma. In 2010, Mike and Debbie helped Spaulding for Children to plan and produce a video on the Indian Child Welfare Act. Mike recruited tribal leaders from across Oklahoma to participate in the video. The video, titled “Children of a Proud People” was a huge hit when premiered at a statewide meeting of the Oklahoma Indian Child Welfare Association. In 2010, Debbie was appointed by the Oklahoma Legislature to an Adoption Review Committee to explore ways to continue the process of strengthening Oklahoma’s adoption laws. From 2010-2012, Mike went back to school at the University of Tulsa College of Law and obtained a law degree so he would be able to do the legal services for Heritage Family Services. During law school, Mike was recognized by the Family Law Section of the Oklahoma Bar Association as the Outstanding Family Law Student at the University of Tulsa. 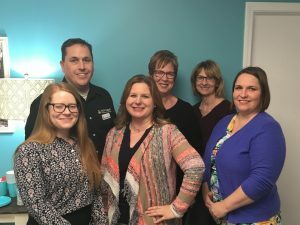 Heritage Family Services, an affiliate of Nightlight Christian Adoptions, continues to be dedicated to its mission of Building Families & Changing Lives!